Challenge: CNC Productions used manual processes for booking, confirming, and scheduling their technical event labor. 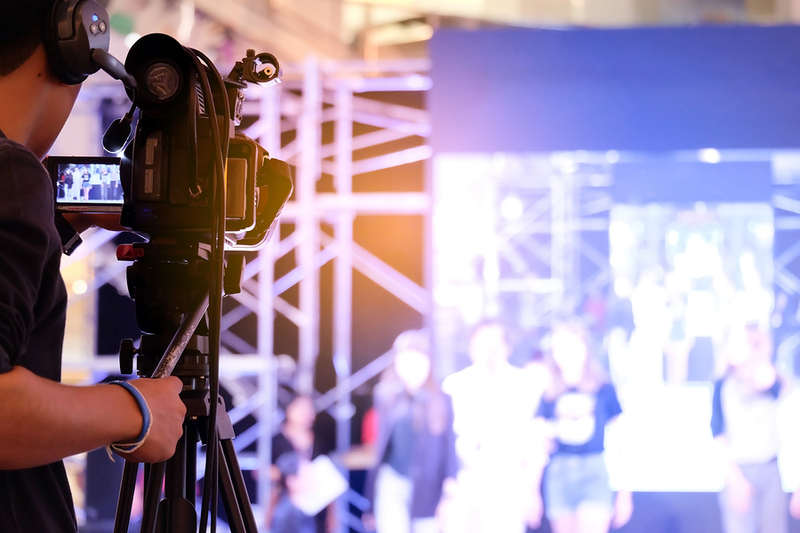 Solution: CNC Productions chose LASSO to help streamline their labor workflow and centralize their show calendars. 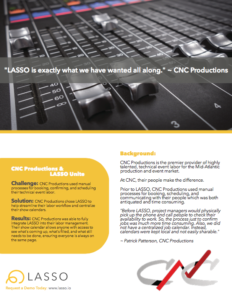 Results: CNC Productions was able to fully integrate LASSO into their labor management. Their show calendar allows anyone with access to see what’s coming up, what’s filled, and what still needs to be done, ensuring everyone is always on the same page.